Incorporated in 2010, with an objective of providing integrated logistics solutions, InSynergy has grown to become one of the leading third party logistics service provider over the last seven years. With a human capital of over 140 spread across its eight locations, InSynergy offers its clients with end to end solutions in logistics. InSynergy is a registered Multi Modal Transport Operator (MTO) with the DG Shipping, Government of India and a registered Customs Broker with the Customs Department. 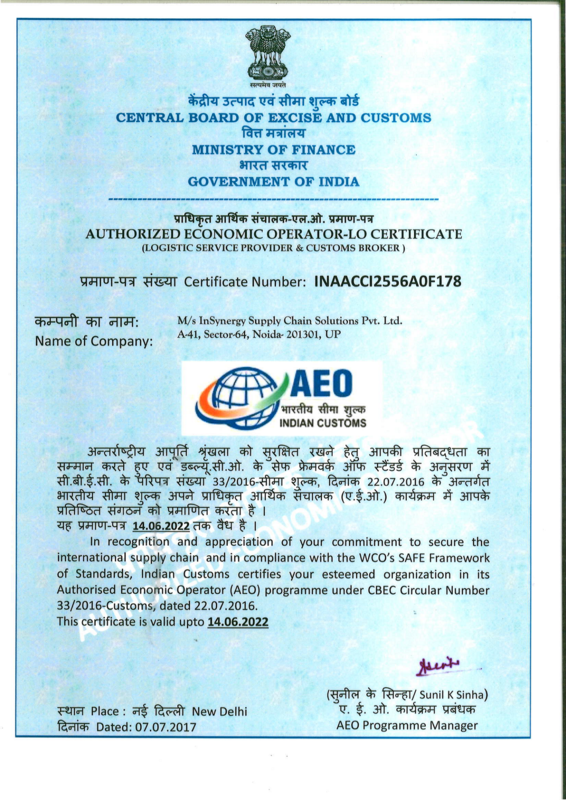 InSynergy also holds the distinction of being an Authorized Economic Operator (AEO) granted by the Central Board of Excise and Customs, Ministry of Finance, Government of India, under the AEO Program of the World Customs Organization. We are a value based, process driven enterprise which operates with a robust Enterprise Resource Planning (ERP) system which integrates all the departments of the company. With our prime focus being on the customer, InSynergy designs all its products and solutions, around the customer’s specific requirements. It is our stern belief in the five core values of the company, i.e., Integrity, Persistence, Empathy, Honesty and Discipline, that characterizes the way we operate. Continued training and education is imparted to our human capital to ensure that they are aligned to the ethos of InSynergy, and at the same time become better and more contributing members of the modern day Indian society. InSynergy is committed to contributing its share to the industry and society in which it survives. Our commitment to the logistics industry is evident by the fact that our senior most management, is constantly and with utmost dedication, engaging with the other members of the fraternity and government to ensure the removal of hindrances in the trade. InSynergy is fully committed to making India a global leader, and in line with the Government of India’s initiatives of Digital India, Ease of Doing Business, etc. Our commitment towards the environment is evidenced by our ‘Go-Green 2017’ Plan, under which we plan to eliminate all paper usage internally (within InSynergy) by the end of the year. InSynergy is investing heavily on technology to reduce our carbon footprint as far as possible. InSynergy, is a part of the World Cargo Alliance (WCA) through which, it has one the largest worldwide networks of over 25000 global partners to work with. 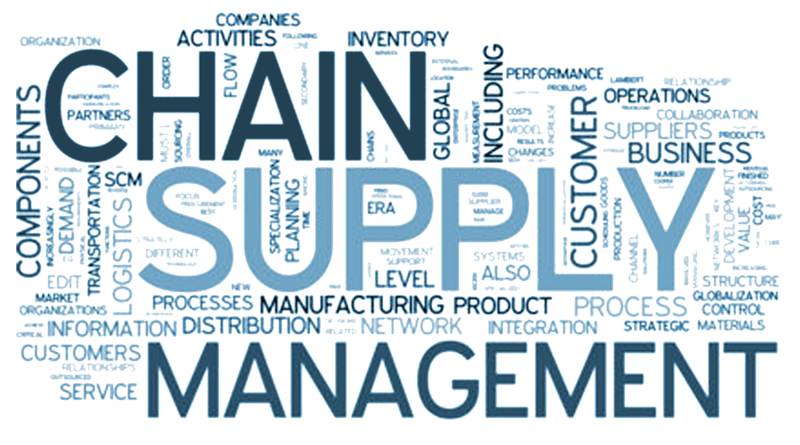 This also provides us with a platform offering specialized services, such as time critical, express, projects, dangerous goods, etc. 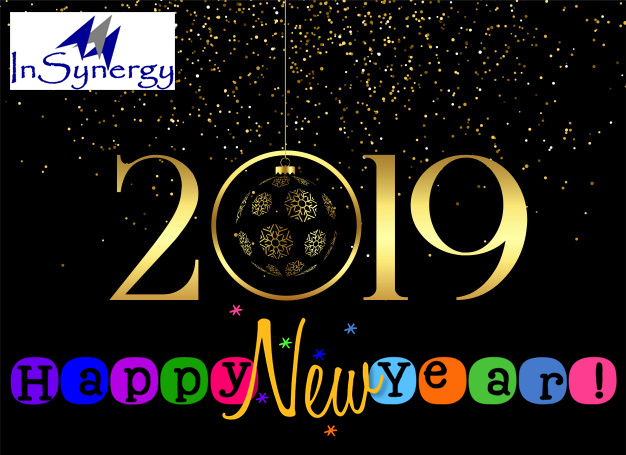 InSynergy is fortunate to have some of the most elite of business, as its customers and they are the ones who are truly responsible for the unprecedented growth that InSynergy has experienced over the last few years. We are always thankful to all the customers who have trusted our abilities and have put their faith in us. It is definitely not that every incidence of service have been seamless, deviations do occur, occasional service failure do happen, but we are glad you judged us by our reaction to such incidents and not by the incidents themselves. Our customers are our biggest asset, and they make us who we are!